Coconut water continues to be a darling of health-focused athletes everywhere, and for good reason. It’s a super hydration source, and it tastes good to boot. So it’s no wonder we’ve received samples of a couple of different sports drinks that utilize coconut water — in addition to a few other ingredients. Nooma: Available in Blueberry Peach, Mango, Watermelon Lime, and Chocolate Mint, Noooma is a little sweeter than plain coconut water (which could be a pro or a con, depending on your feelings about the straight stuff), and the flavors are pretty right on. Mango and Blueberry Peach are both tasty, but Watermelon Lime really stole the show for us. Chocolate Mint is super interesting — probably because we usually expect something with a chocolate mint flavor to be more creamy. The flavor itself is great, but drinking it in a refreshing, watery form takes a minute to get used to. BodyArmor LYTE: With Peach Mango, Blueberry Pomegranate, Orange Citrus, and Cherry Berry, BodyArmor LYTE runs the fruity gamut. Since we often go for orange sports drinks, it’s probably not a surprise to hear that the Orange Citrus was the favorite around here. 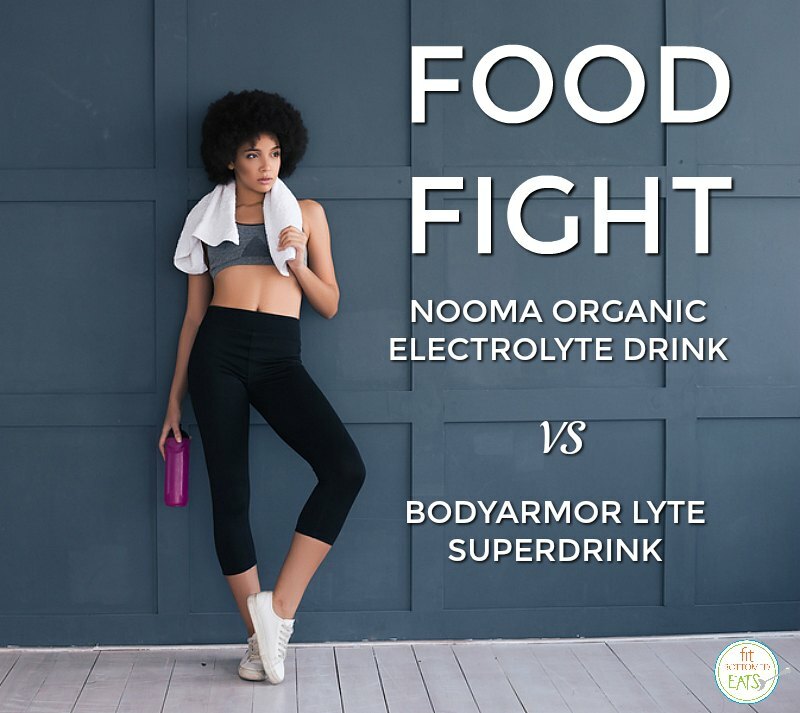 BodyArmor LYTE is a step up the sweetness ladder from Nooma, and that sweetness tends to linger for a bit on the tongue. Winner: Nooma wins this round for offering something sweet to sip on without an aftertaste. Also worth noting: Nooma comes in eco-friendly Tetra-Pak bottles, which isn’t only beneficial for shipping, but also allows them to avoid using any acid preservatives in their drinks. Nooma: Each serving of Nooma has 30 calories and no fat, with 110 mg sodium, 330 mg potassium, 30 mg calcium, 7 g carbohydrate, and 5 g total sugar (with no added sugar). And, one 16.9 ounce bottle = one serving. 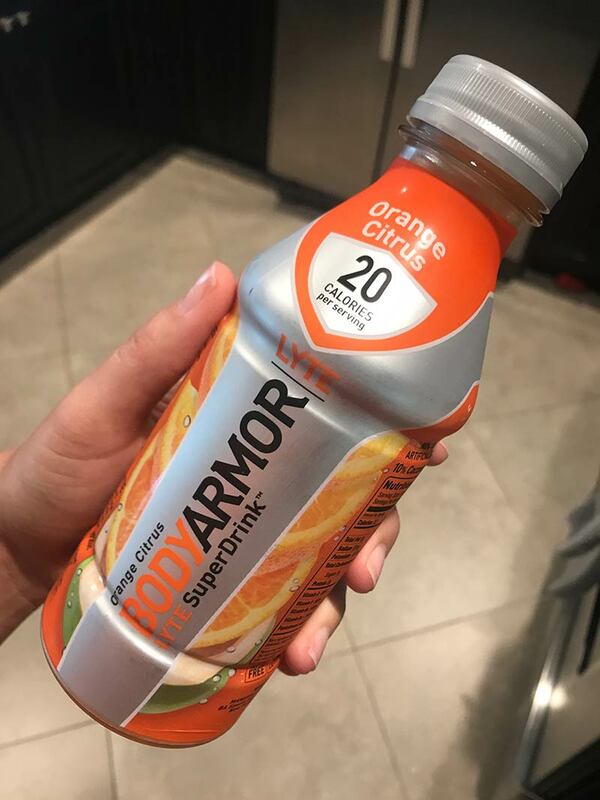 BodyArmor LYTE: A serving of BodyArmor LYTE is just 20 calories with no fat, 20 mg sodium, 350 mg potassium, 10 g carbohydrate, and 3 g total sugar (including added sugar). However, one 16 ounce bottle = two servings, so if you’re one to take down a full bottle (which definitely describes us), you can go ahead and double that. Nooma: Nooma’s ingredient list reads: water, organic coconut water from concentrate, sea salt, organic stevia leaf extract, and organic flavor specific to the individual flavor. That is easy reading right there. BodyArmor LYTE: The ingredients for BodyArmor LYTE are a bit more involved: filtered water, erythritol, pure cane sugar, coconut water concentrate, citric acid, vegetable juice concentrate (color), dipotassium phosphate (electrolyte), ascorbic acid (vitamin C), magnesium oxide (electrolyte), stevia leaf extract, natural flavors specific to the individual flavors, and a handful of other ingredients listed with parentheses describing them as electrolytes and vitamins. Winner: Short, sweet, and easy to understand is the way to our hearts in this category, so we have to hand it to Nooma. 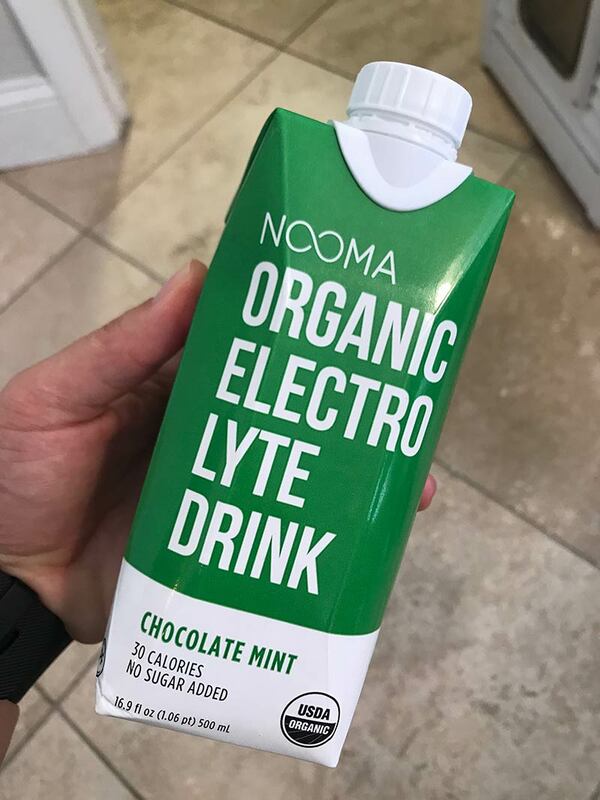 Nooma Organic Electrolyte Drink gets the win — and some coveted space in our fridge. Although, let’s be clear — more often than not, we’re pretty happy with just some nice, cold, unflavored ice water.